Green Tea Protein Smoothie is one our families favorite smoothies and it’s SO good for your body too! We LOVE having Miss Nichole from Pure Clean Fitness come to hang out with us! 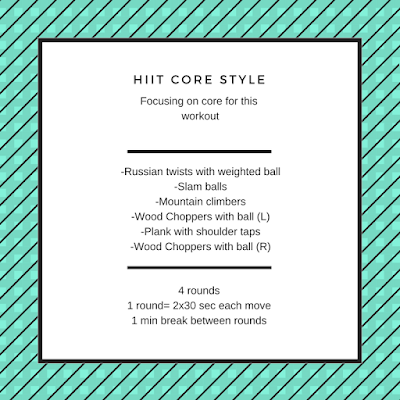 She always inspires our overall fitness- today, she’s getting us in shape with a HITT Workout! We love these two types of green tea from amazon!! Jade Leaf Matcha Green Tea Powder – USDA Organic, Authentic Japanese Origin and Kirkland Signature Ito En Matcha Blend (Green Tea), 100% Japanese Green Tea Leaves . I love how they deliver everything right to my door in just two days! So funny story about this Green Tea Protein Smoothie… Madi and I were cooking away one Saturday and after we were done taking pictures, she wanted to try the green tea smoothie. She loved it SO much, she drank ALL of the smoothie that she possibly could. All the little cups and bottle you see in the picture below… yup… she devoured them all! Madi is a natural green tea lover. Her husband… not so much. However, although he didn’t like the Green Tea Protein Smoothie as much as Madi, he loved the Chocolate Raspberry Protein Smoothie. Chocolate is definitely his style! Find a healthy smoothie that works for you and drink it regularly! There are plenty to choose from here at Cooking with Ruthie. 🙂 My personal fave– Peaches and Cream Chia. My son’s personal fave– Strawberry, Citrus & Coconut. Now we will let Nichole share her amazing HIIT work out with us today to prep for warm weather!! February is already almost over, just means that we are a little closer to spring. A little closer to shorts and tank tops, a little closer to spring races and activities, and a little closer to summer. I say this in a house surrounded by snow (finally). As the warm weather is coming we also need to get ready for all that warm weather. 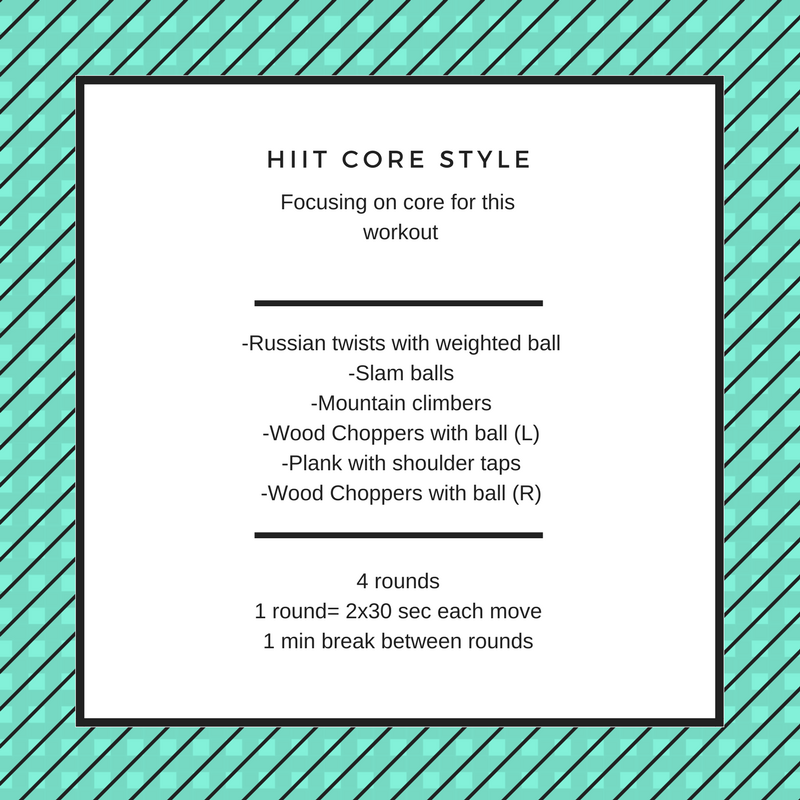 Let’s up the ante with a kicker HIIT workout that will focus on core and get the heart rate up and going. You will need a weighted ball for this workout. Each round is six minutes. The goal is four rounds. With the one minute breather between rounds you have yourself a 28 minute workout. Include warm up and cool down and you have yourself a solid 45 minute workout. Green Tea Protein Smoothie is a fun and wonderful way to celebrate St. Patricks Day in a healthy way!! Have an awesome Fit Friday!! This looks delicious and very timely for St. Patrick’s day. Can’t wait to try it. Thank you for sharing this wonderful recipe. So excited to try this green tea smoothie. We LOVE this smoothie!! It’s just the best and love that it’s healthy too 🙂 Enjoy!! !